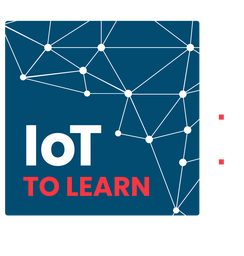 For only €89.00, you will dive into the world of IoT, where you will be notified about the latest innovations by our selected experts. On top of that, you will meet like-minded people from your working environment during a delightful lunch at the event. At the end of the day, you will return back home with a dose of new experience and a well-stocked goodie bag with the most interesting NB-IoT gadgets and Christmas presents! On Tuesday the 11th, Remoticom will offer free consultancy for sensor projects. This consultancy will be given by the CEO, Joost van der Velden, the Sales manager, Erik Verwoerd, the R&D manager, Michel Vugs and the Operations manager, Martijn de Kok. Interested? Please e-mail your availability and a short description of your company to [email protected] so we can set up a meeting! We are witnessing the start of what’s called the fourth industrial revolution, where artificial intelligence, robotics, cloud computing, blockchain and internet of things fundamentally change society and business as we know it today. It’s a world where everybody and everything is connected and data is at business and societal disposal to make a smarter business or better society. As Senior Proposition Marketer for Internet of Things at Vodafone, Jelmer Letterie (43) looks at market developments that happen as a result of these new technologies. With 12 years of experience in Information Technology at IBM and Accenture, Jelmer has witnessed from close how technological shifts has changed the world we live in. With new mobile networks coming available shortly (5G), we will soon be able to do much more with data and communication transfers, in terms of speed and availability of mobile networks. In his presentation, Jelmer will elaborate on the future of IoT networks and share what are in his view the sweet spots for Internet of Things. Harald Naumann is a recognized IoT /M2M evangelist with a primary interest in the implementation of wireless applications. He offers over 25 years of professional experience. He comes all the way from Motorola as Service Manager for GSM mobiles and Sales Manager with FALCOM for GSM modules, he was Project Leader and/or Project Member in various teams for wireless based products in telemedicine, GSM locating without GPS or GSM/GPS based tracking devices. Name it “M2M” or even “IoT” today! He has authored articles in several magazines, runs this blog related to IoT and M2M since 2009 and has written the IoT M2M Cookbook  How to develop a device on wireless modules . His personal mission: none of his customers should reinvent the wheel. He gladly shares his experience and know-how with his customer to support their projects. His service for industrial users: products and services for electronic components with most economic concepts and fastest time to market products. Roger Denker is an experienced manager with a demonstrated history of working in the wireless industry. Skilled in Embedded Software, 4G, Test & Measurement Instrumentation, Antennas, and Network Analyzer. He has astrong professional with a BSEE focused in Electronics and Telecommunications from the Technical college of Eindhoven, the Netherlands. Moreover, Roger is the founder of MegiQ BV. Harald Gottschling is one of the founders of Focus Infocom, which was founded in 1993. In the company, he is responsible for research and development. Etienne is 57 years old and married with two kids. He has been in the Telco industry for over 30 years, in various roles, such as business owner in the SME segment. Furthermore, he worked at Telco Vodafone, Deployment of Access network. Since 2006, he is working for Ericsson, where he is currently responsible for 5G and IoT business development towards vertical industries.